13 And they were bringing children to him that he might touch them, and the disciples rebuked them. 14 But when Jesus saw it, he was indignant and said to them, “Let the children come to me; do not hinder them, for to such belongs the kingdom of God.15 Truly, I say to you, whoever does not receive the kingdom of God like a child shall not enter it.” 16 And he took them in his arms and blessed them, laying his hands on them. Ironically, the very reason why the disciples thought Jesus should not welcome the children was the same reason why Jesus chose to welcome them. Think about it? What did Peter do with the things on his mind? He simply blurted them out just like a child. As a quick side note, I think it’s worth mentioning that children were not considered cute and innocent in the first century. Only since the nineteenth century Romantic Era have we idolized children. In Jesus’ day children were recognized as being unashamedly selfish and prideful. Children were, and still are, authentic. However, in teaching people to pray we often encourage them to split their personality. We encourage them to ‘do it right’. We force people to re-create an alternate version of themselves by telling them to try to be more spiritual, but in the process all we’re really teaching them is hypocrisy. We’re encouraging people to be fake. This practice is prescribed by many Christians today, but how does Jesus say we should pray? We never really know how bad we are until we try to be good. That was God’s purpose for giving us the Law. By attempting to obey it we discovered our own weakness and desperate need for grace. 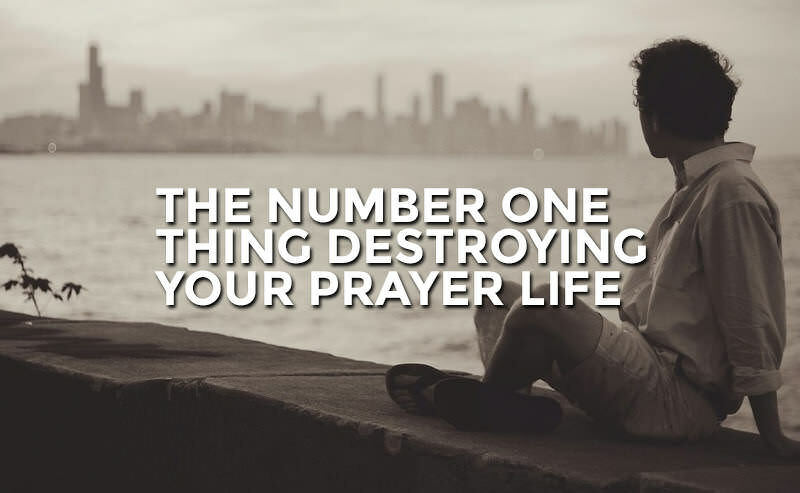 In the same way, most of us have no idea how unspiritual we are until we try to pray. At this point some of you may feel incredibly discouraged, but try to hold on for just a little longer. I have some really good news. Jesus doesn’t say come to all those who are masters of the discipline of prayer. Jesus doesn’t say come to all those who have conquered the sin in their lives. Jesus tells us to come as we are. We’re encouraged to come weary and burdened. This is the criteria for coming to Jesus. We come overwhelmed with life. We come with our wandering minds filled with a million different distractions. We come arrogant, prideful, and petty. We come… like children.